In this blog post, we’re sharing how business owners and managers can create better engagement in their teams to drive success for the entire organization. Let’s get started! Employee engagement is an employee’s commitment to an organization and its goals, and the employee’s passion for their work. Engaged employees typically go above and beyond the call of duty and do more than what’s required of them in their job description. Engaged employees are a business owners dream employees. Employee engagement pays off by reducing turnover, increasing productivity, and increasing revenue. Ultimately, engaged employees lead to restaurant success! The annual venue employee turnover rate stands at a staggering 73%. Engaged employees tend to be happier employees, and are therefore less likely to leave your venue for another employer. According to Cornell’s Center for Hospitality Research, turnover costs the hospitality industry $5,864 per lost employee. Think about what retaining one, five, or 10 employees over a year through engagement could mean for your business. In addition to the thousands of dollars associated with hiring and training new employees, turnover also costs venues productivity. Even before disengaged employees quit, they’re less motivated by their work so they don’t perform at their maximum potential and are more likely to take sick days. Engaged employees, on the other hand, take 10 times fewer sick days than disengaged employees. Did you know that highly engaged employees bring in 147% more profits than their less passionate peers? When front-of-house staff are inspired by their work, they can upsell and serve more authentically, which makes customers more receptive to their offers. Engaged employees work harder, make customers happier, and generate more revenue for your venue than disengaged employees. When you know how to engage employees at your venue, you’ll build a rockstar team that will lead your venue to success. Now that you understand the importance of employee engagement, you must be dying to know how to engage employees effectively. Here are seven creative ways to engage employees at your venue. Share your venue's mission, vision, and/or values during employee onboarding. When employees understand that they’re working towards a larger goal, they’ll feel more passionate about their work. Offer recognition with things like employee of the month or performance bonuses and rewards to team members who embody your venue's values. 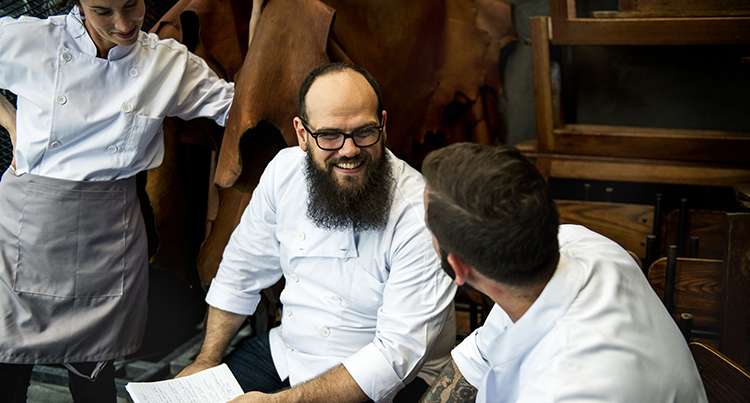 A recent study of the restaurant industry by 7shifts found that three-quarters of restaurant employees say the best part of working in the industry is their colleagues. When employees feel like they’re part of a family, they’ll be more engaged and will look forward to working with their colleagues. In fact, work friendships increase employee satisfaction by 50%. Create a sense of community among your team by making team meals a tradition, hosting social events for employees outside of work, or organizing holiday parties. Let employees know that you care about them by acknowledging employment anniversaries, birthdays, and other meaningful personal occasions. Giving your team members shout outs on social media, singing happy birthday during a team meeting, or acknowledging an employee’s child’s birthday in your team’s communication app will mean a lot. Showing employees that you care about them beyond their professional capacity goes a long way in making employees feel more engaged at work. A little friendly competition can go a long way to boost sales, morale, and employee engagement. Offer incentives to your team for specific goals like upselling, decreasing ticket times, or selling a special menu item. Be creative with prizes to make the competition worthwhile. You could offer the winner a paid day off from work or concert tickets, for example. Gamifying performance is just one creative way to engage employees. Pair new employees with more experienced staff members to serve as mentors throughout their employment. Tell employees to think of their mentors as someone between a manager and a friend - someone they can go to for advice on how to adjust to the venue's idiosyncrasies, and someone they can celebrate victories with. 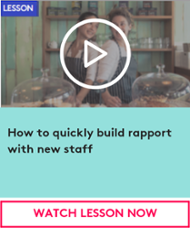 Providing new team members with mentors shows them that you and the venue's management team care about their professional development and wellbeing, which will ultimately increase engagement and reduce turnover. Invest in your employees’ success and they’ll be more invested in the success of your venue. Set aside a budget for professional training opportunities for your team. You can set individual budgets or team budget that managers can spend on group professional development. 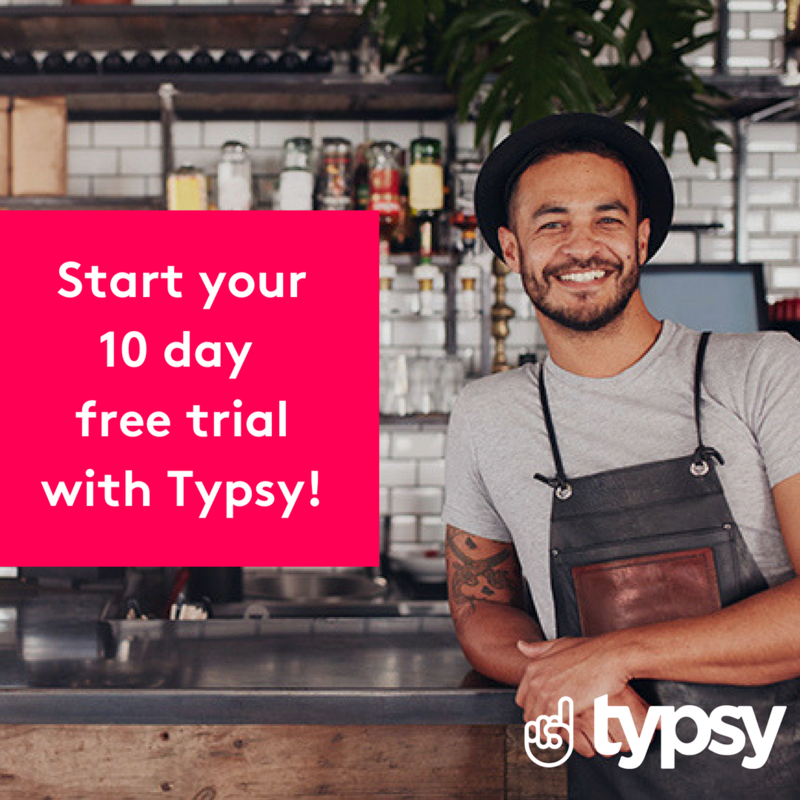 Typsy’s online video courses are a convenient and budget-friendly way to help employees grow in the hospitality industry. Facilitating communication among your team members will help them work together better by fostering a feeling of kinship. 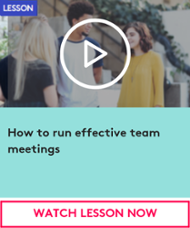 A good employee scheduling tool will also have a team communication component, enabling employees to communicate with their team members while managing their shifts from their phones. When employees can easily communicate with each other, both on the clock and outside of work, they’ll be more committed to their work. Employee engagement is the passion that employees have for their work that compels them to put discretionary effort into what they do. Engagement increases productivity, grows your revenue, and reduces turnover. When you go the extra mile and invest in your employees by making them feel connected and acknowledged, they’ll invest in your venue through their work ethic and loyalty. With more than 450+ online lessons available in Typsy's video library you can start engaging your staff through training in minutes. Sign up today and get the first 10 day's FREE! 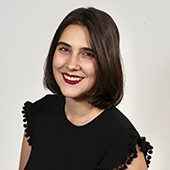 Ana Cvetkovic is a freelancer and content producer for 7shifts. She is also the CEO of BLOOM Digital Marketing, a Philadelphia-based creative marketing agency that helps the hospitality and tourism industries reach new audiences online.